Neo Soho is a new shopping center icon by Agung Podomoro Land with an 8-storey “Store within-a-Store” concept with approximately 197,000 sqm site area and leasable area of 44,931.43 sqm, Neo Soho is a part of the Integrated Mega Projects of Podomoro City with 22 ha land area. 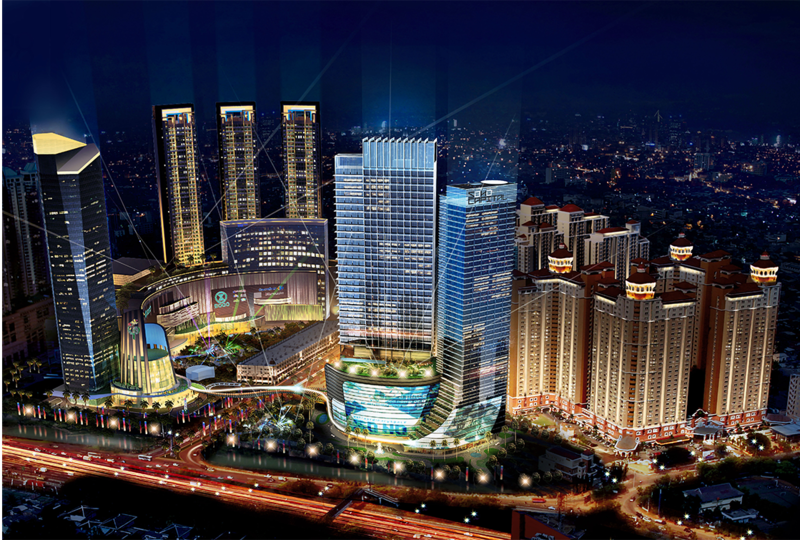 Several world class companies participated in the mega construction of Neo Soho such as DP Architects from Singapore as the Principal Consultant, Architecture Consultant and the Interior Design Consultant, Bennitt Design Group from US as the Landscape Consultant and PT Nusa Raya Cipta as the Main Contractor. Neo Soho is connected to Central Park Mall through Eco Sky Walk, the iconic 250-m footbridge with beautiful panoramic view of the surrounding Podomoro City skyline and the underground tunnel. Born Ga, Chef Tony’s Popcorn, Coco Ichibanya, Gyu-Kaku, Hejo Heko, Imperial Lamien, Kkuldak, Kitchen by Pizza Hut, Marugame Udon, Mugimaru, Provence Bakery, Shaburi, Steak Hotel by Holycow, and many more. Moreover, Neo Soho consists of 40-storey SOHO (Small Office Home Office) Tower with 615 units. SOHO is a duplex concept that can be functioned as Home, Office or both (Home and Office) and has been sold 100%. Neo SOHO will also be integrated with a 43-storey Office Tower (SOHO Capital), including High Zone and Low Zone area. High Zone area is offered as a strata title ownership and has been sold over 87%. These extraordinary projects will surely make Podomoro City as an Integrated Mega-Complex for international shopping destination.